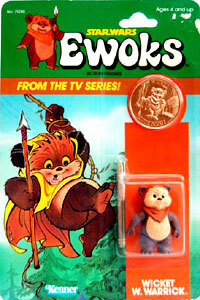 Ewoks were produced by Kenner and were bear like creatures featured in the Star Wars film Return of The Jedi. 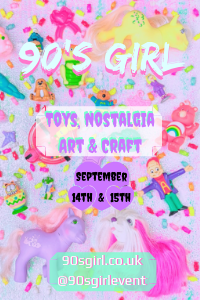 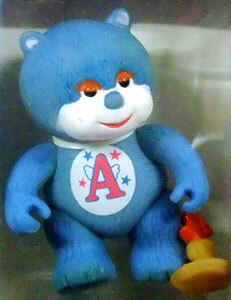 There were poseable figures, playsets and several plush toys. 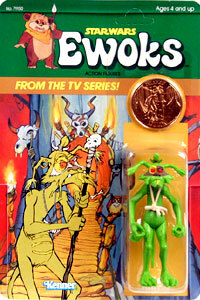 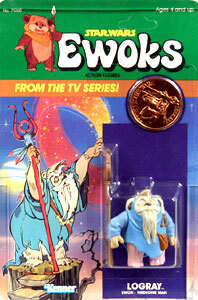 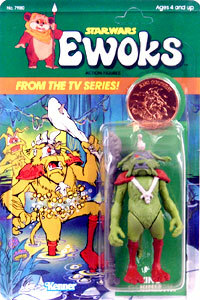 A spin off cartoon series (lasting two seasons), centering the character Wicket, spawned figures of its own as well as accessories, books and playsets. 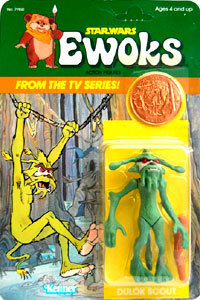 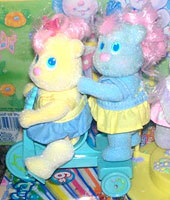 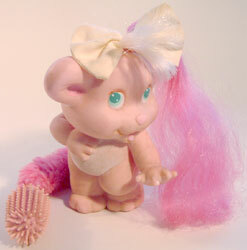 Both the film and TV toys are features here for comparison as they were very different. 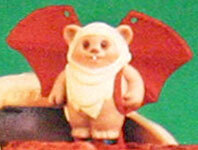 Images on this page thanks to Rebel Scum (film figures) and various eBay sellers! 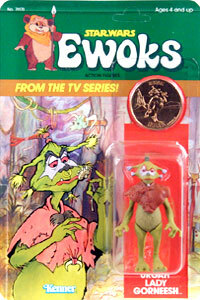 View all more Ewoks on eBay.com or eBay.co.uk! 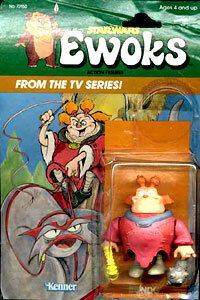 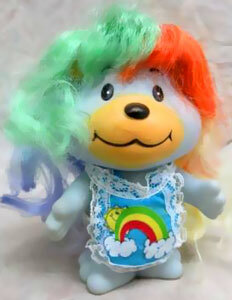 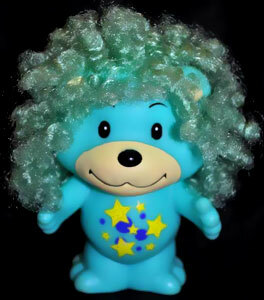 There were two series of cartoon figures planned, but the second series didn't get any further than the promotional stage. 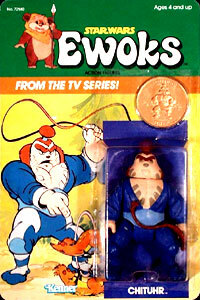 Each figure came with one accessory and a plastic coin. 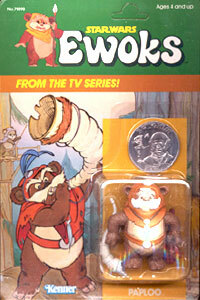 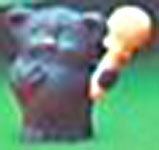 There were six unproduced Ewoks figures. 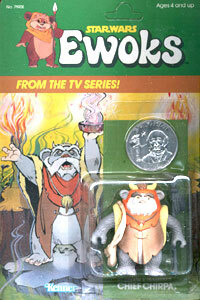 There were six non poseable figures which came with various Wicket The Ewok preschool playsets. 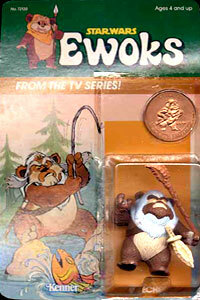 There were eight Ewoks figure produced based on the Star Wars films. 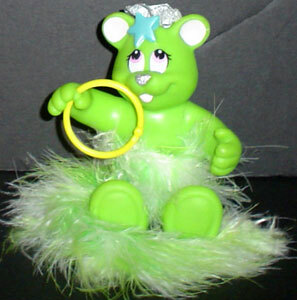 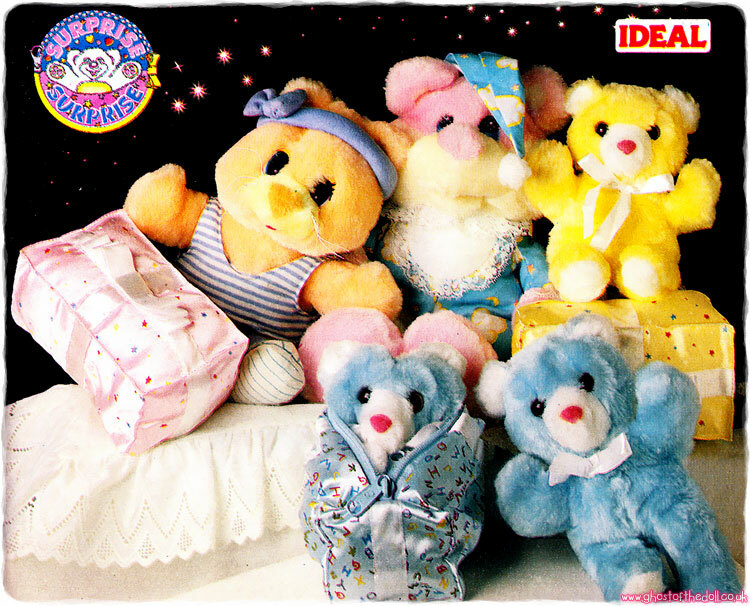 Each one came with removeable headwear and one or two accessories. 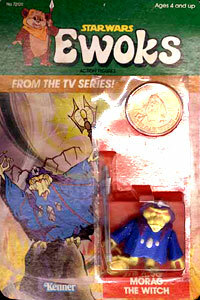 They were also released with a large plastic coin like the TV figures above. 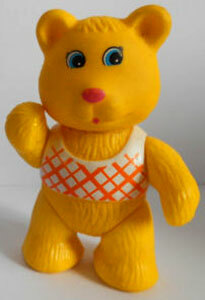 They were released 1983-1985.